The SEC has just released an 11-page statement with an analysis pertaining to digital assets being offered and sold as an investment contract. The report is titled Framework for “Investment Contract” Analysis of Digital Assets, and is prefaced by the following Public Statement framing it. Both documents are pre-requisite reads in order to get the full context of my remarks below. Unfortunately, the SEC framework is late in its appearance. I wished that type of guidance was issued 15-18 months ago when it was most needed. As if it had been in draft mode for a very long time. The SEC is showing their inertia, and this concurs with how long it took them to issue the DAO Investigative report which came out more than a year after the actual event took place. The report is tilting on supporting why most tokens are securities by default, as it consisted primarily of an unpacking of the Howey Test, which sets the bar very high, and challenges most previous token offerings to actually jump to these compliance levels. That said, the most important part of that report is in Section 3. Other Relevant Considerations. It is strangely buried as an ending section, whereas I wished it was actually encapsulated in the report’s headline, because that was the real novelty here, not how to interpret the Howey test. 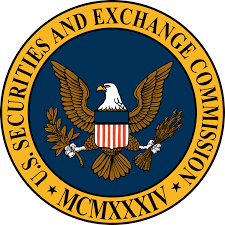 In essence, the SEC has offered a set of characteristics that are “not necessarily determinative, but the stronger their presence, the less likely the Howey test is met”. Again, the bar is quite high on these conditions, as it strongly de-emphasizes the appreciation of the token in the speculative markets, in favor of the token usage inside these networks as a stable or even deflationary currency. This obviously makes it very hard to ride the speculative appreciation of the token as a way to fund the on-going operations of a project, and puts into perspective the importance of the timing and progression factors for a given token’s lifecycle. This tells me that- going forward, public token offerings in the US are best done by following existing Securities rules (likely as a Reg A). Otherwise, the token utilitarian role must be very strict and deeply embedded into the network usage, while its speculative appreciation must be delayed as much as possible into the future.